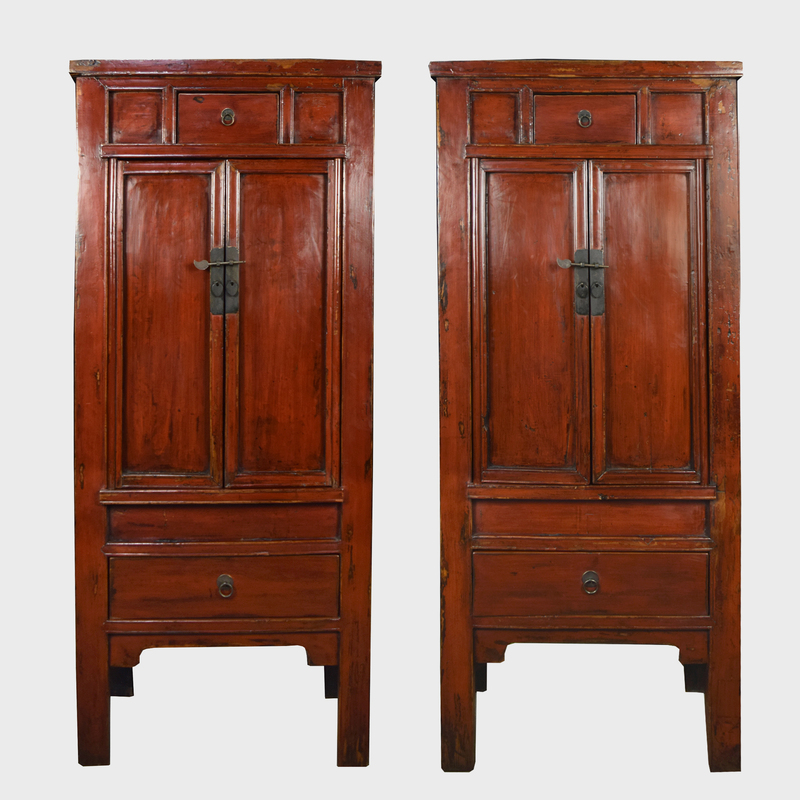 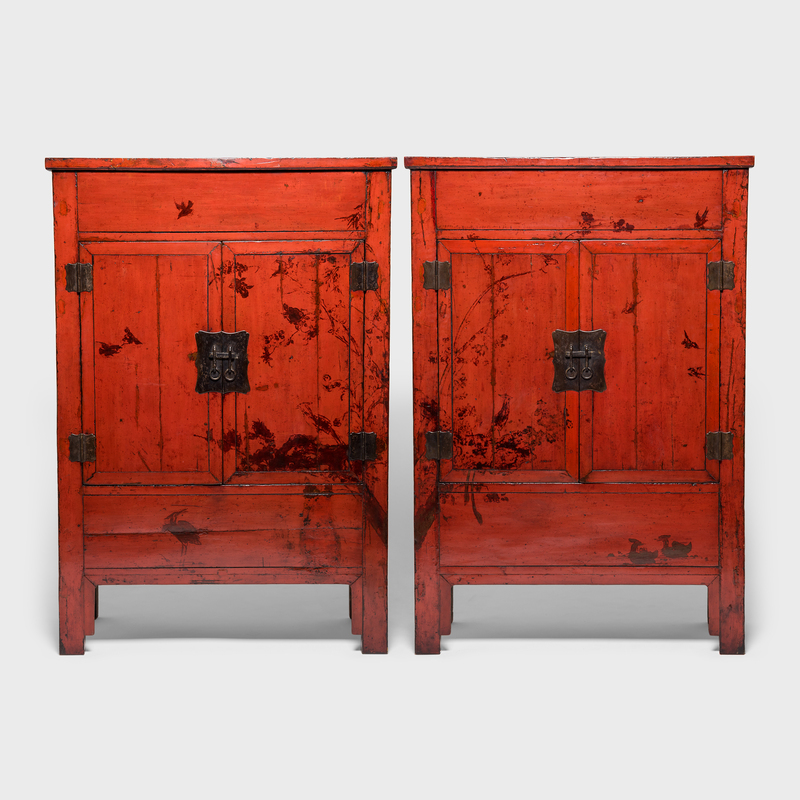 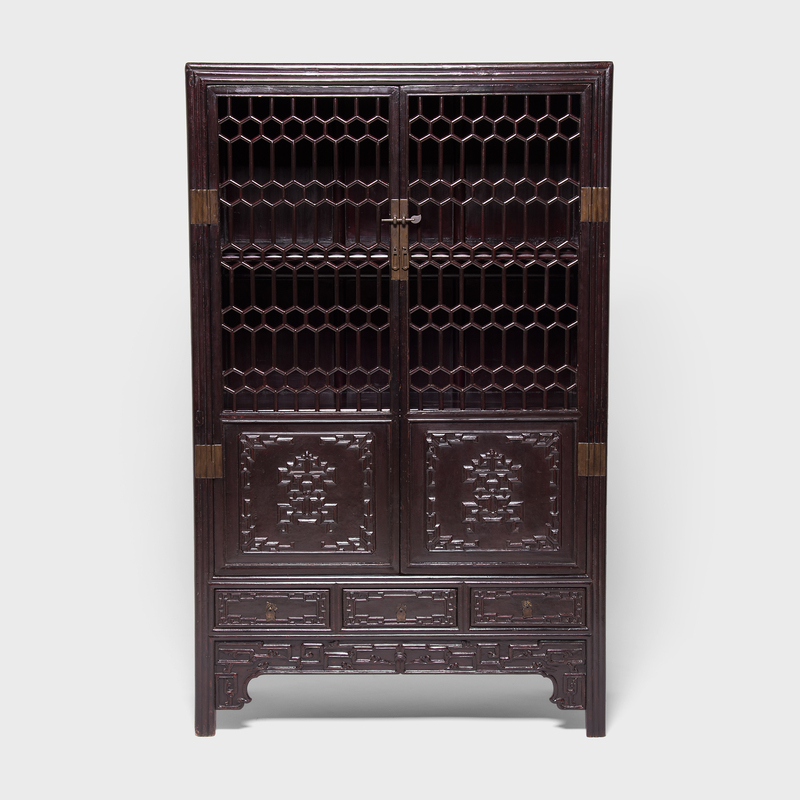 W: 34.0" D: 20.75" H: 68.25"
The lyrical lines and brilliant red lacquer of this stately 19th-century cabinet must have proved irresistible to the artisan who painted its surfaces with intricate detail. 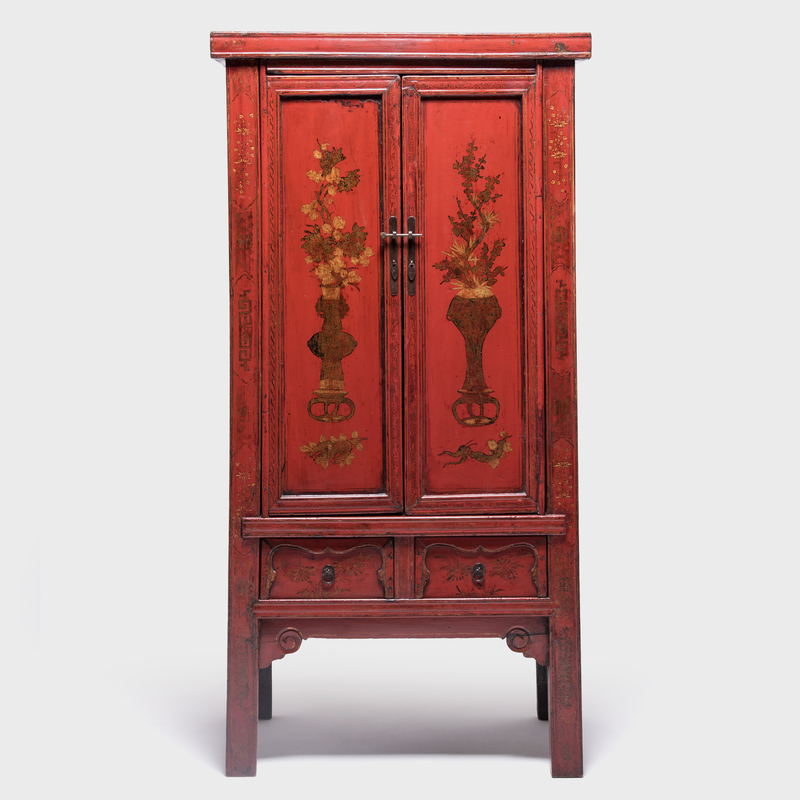 Long, vertical doors provided the perfect canvas for a pair of flower-filled vases, and the carved drawers and paneled frame played host to finely rendered botanical motifs and intricate filigree. 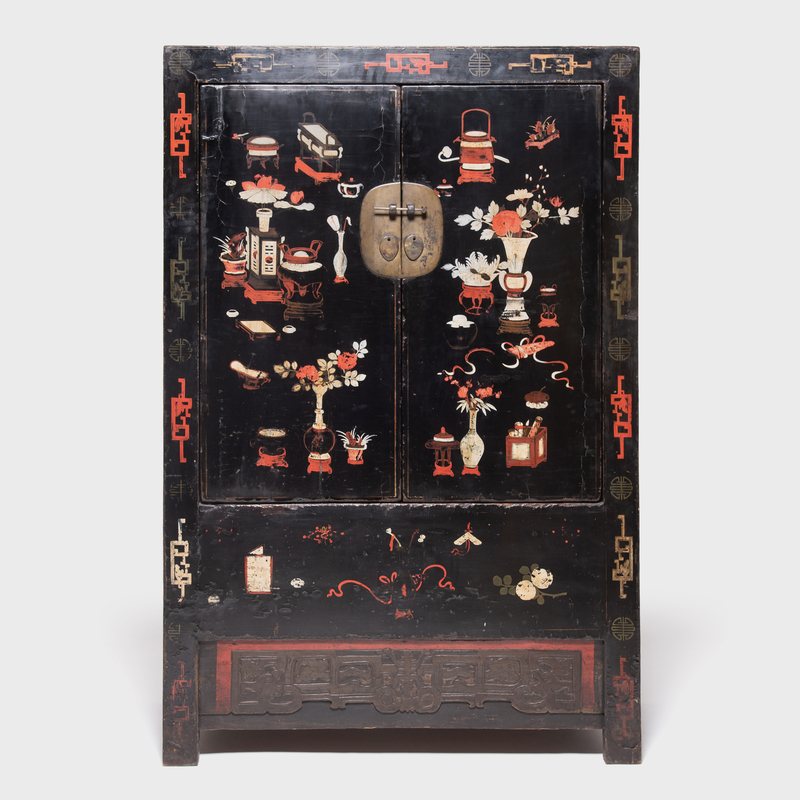 The relatively simple shape and open surfaces of such designs made them ideal canvases for artists and were often lavishly decorated.